The Apple iPhone 5 is without a doubt the best hardware to reach the market this year in terms of design, engineering, and manufacture. It is an incredible smartphone that pleases from nearly every angle. Even still, it's not perfect. The Apple iPhone has become so ingrained in the consciousness of American popular culture that you probably already know if the iPhone 5 is for you or not. Ever since its 2007 debut, the iPhone has been a constant fixture on TV, in the movies, at the office, or in the stadium. Apple has sold more than 200 million of them. They are everywhere, and most people are familiar with the iPhone. But Apple is a polarizing company, and people tend to love Apple products or loathe them. That begs the question, how do you feel about the iPhone 5? Let us help you figure it out. The iPhone 5 is a stunning achievement in design and engineering. From a distance, it may look like a common oblong slab, but upon close examination it is clear how much thought and work Apple put into designing it. No other phone manufacturer has crafted so fine a piece of hardware. To be quite frank, I didn't think I was going to like the iPhone 5. The leaked photos that have littered the web over the last few months were unappealing to me. I didn't like the elongated look, nor the two-tone colors on the back. Now that I have one in my hand, the design choices made by Apple make a lot more sense to me. The first thing I noticed when picking the iPhone 5 up is the weight. There's nothing to it. It's as if you're playing with a toy, not a $649 (that's the full retail price) piece of electronics. 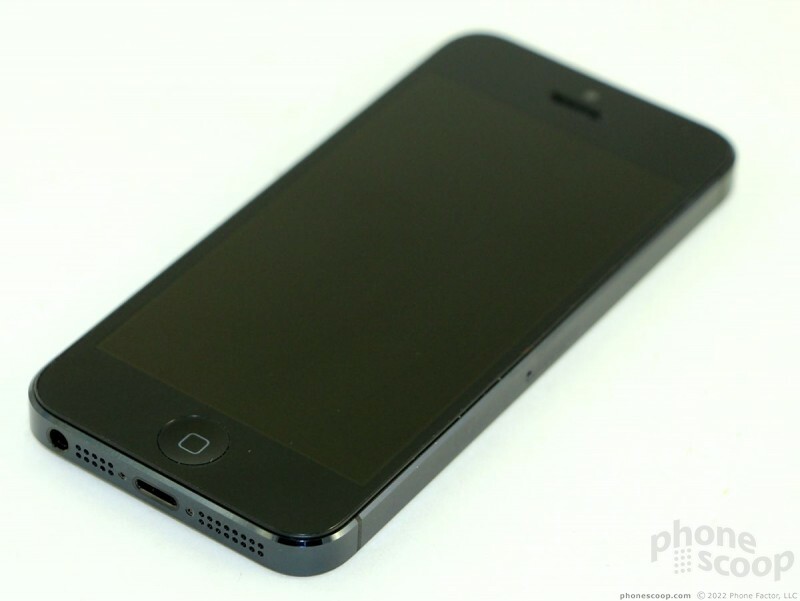 Apple says the iPhone 5 is 18% thinner and 20% lighter than the iPhone 4S, and you can tell right away when you use it. The lack of weight is incredible, and the slim profile is impressive. It's so thin and light that it simply disappears when you put it in a pocket. You can forget about it completely. 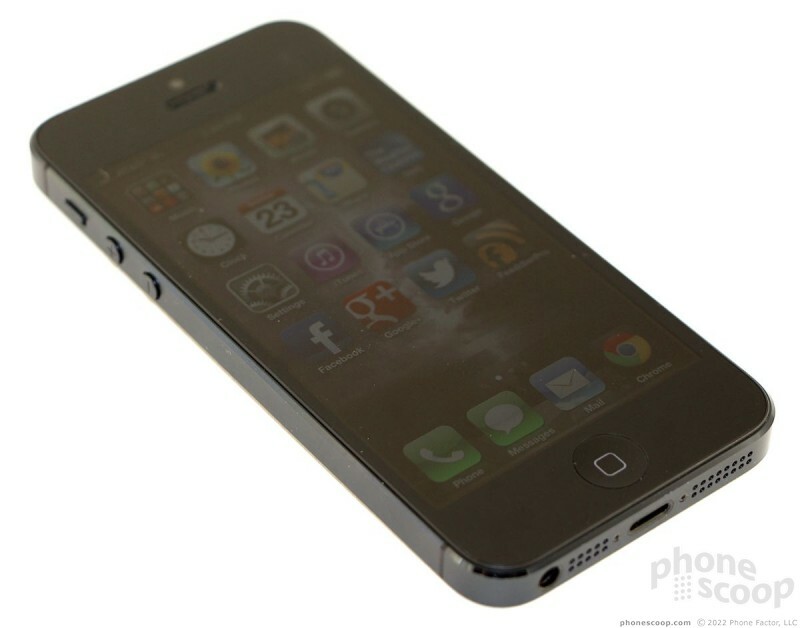 As with the iPhone 4/4S, the materials of the iPhone 5 are top-of-the-line. The fit and finish of the manufacturing is absurdly good. 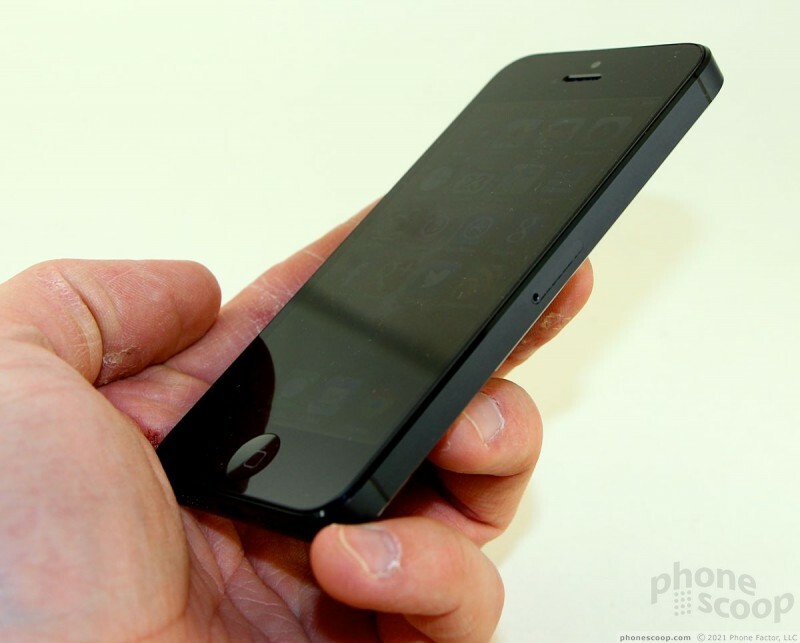 There isn't a single phone available for sale today that offers the same high-class feel of the iPhone 5. The front is glass, the back and sides are aluminum, and the back has two glass panels (one at the top and one at the bottom). The aluminum has a matte finish that contrasts with the shiny glass panels. Apple switched from the glass back of the 4/4S to aluminum in part to make the iPhone 5 thinner and lighter, but also to make it less breakable. 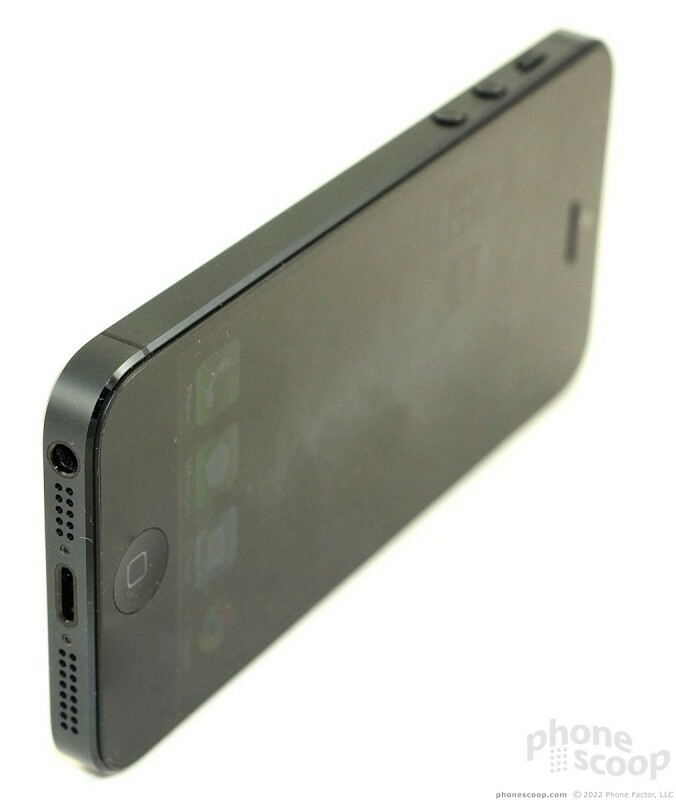 With so much metal built into the design, it should be more durable than the iPhone 4/4S were. 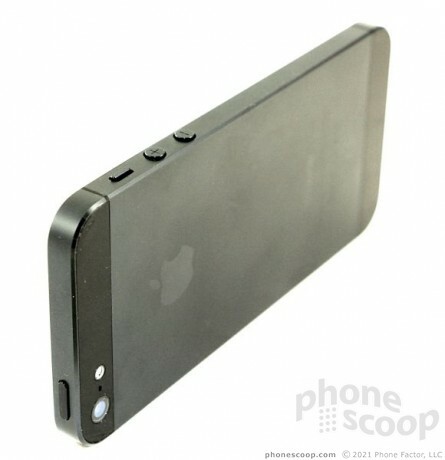 Where the iPhone 4/4S had sharp edges, the iPhone 5's back corners have been softened by angled cuts of the aluminum frame. 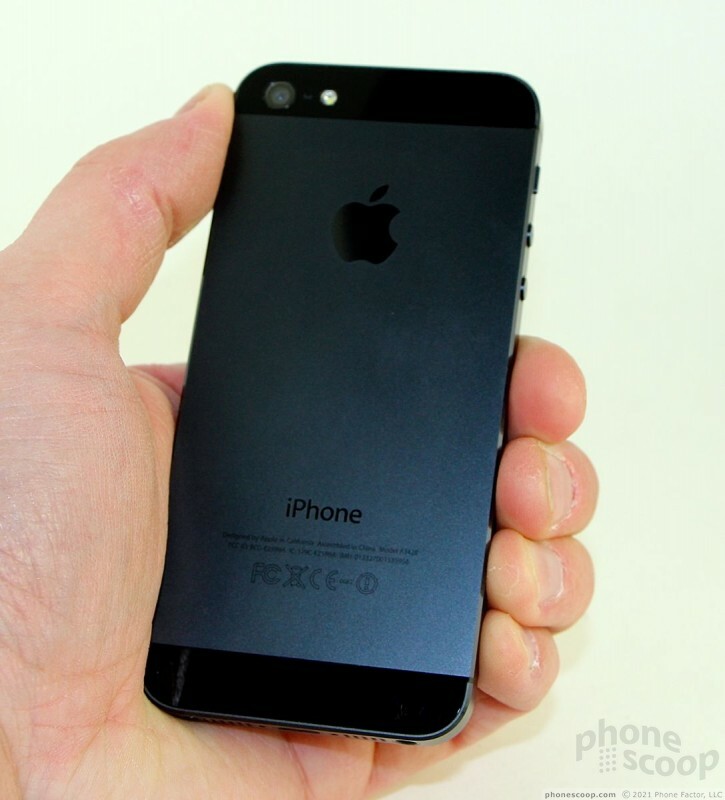 The glass-and-aluminum sandwich look of the iPhone 4/4S is gone. 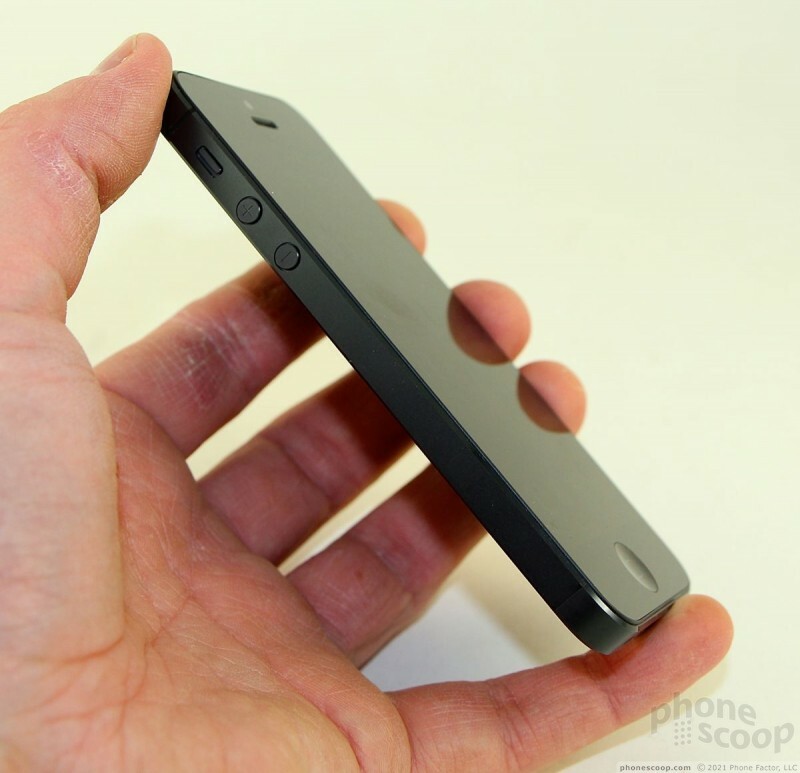 The seam between the glass panel on the front of the iPhone 5 and its aluminum frame is practically invisible. These design choices make the iPhone dramatically more comfortable to hold and use. 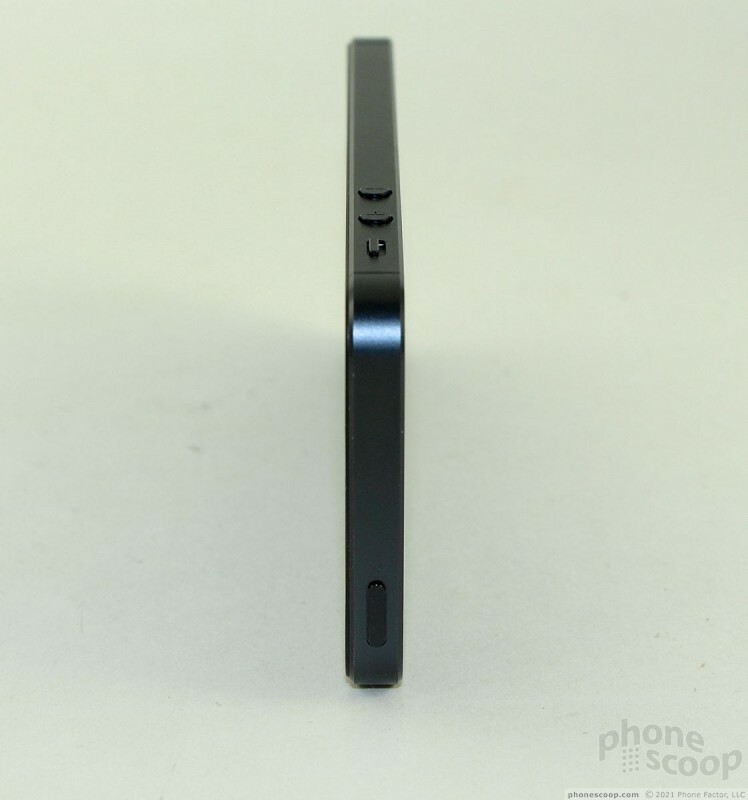 Toss in the thin profile and trimmed weight, and it's a wonder Apple had any room on the inside to stuff the (impressive) guts that power the iPhone 5. 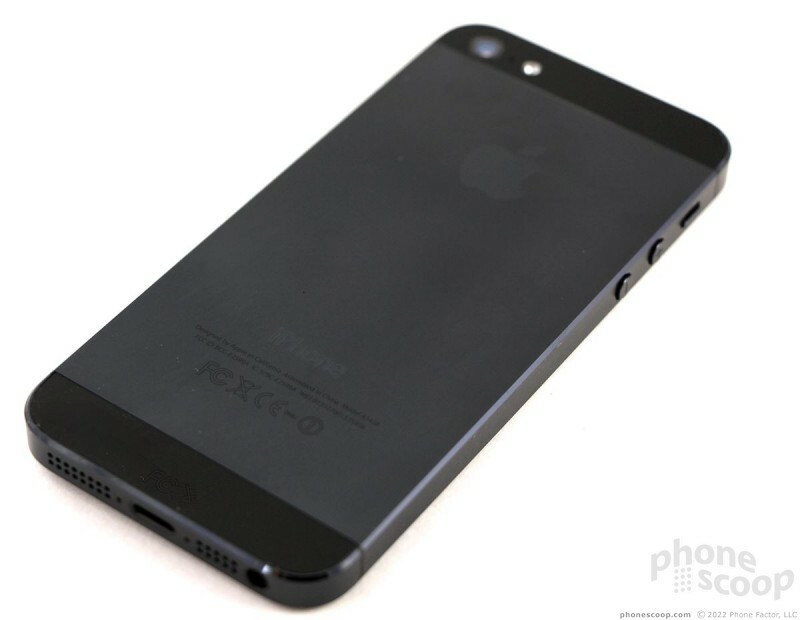 One thing that I have come to dislike about the iPhone 4/4S design is the way the small 3.5-inch display looks on the front of the phone. The bezel is too thick, and it calls attention to just how small the screen is. That effect is gone on the iPhone 5. Thanks to the larger 4-inch screen and reduced bezel, the balance looks better all around. 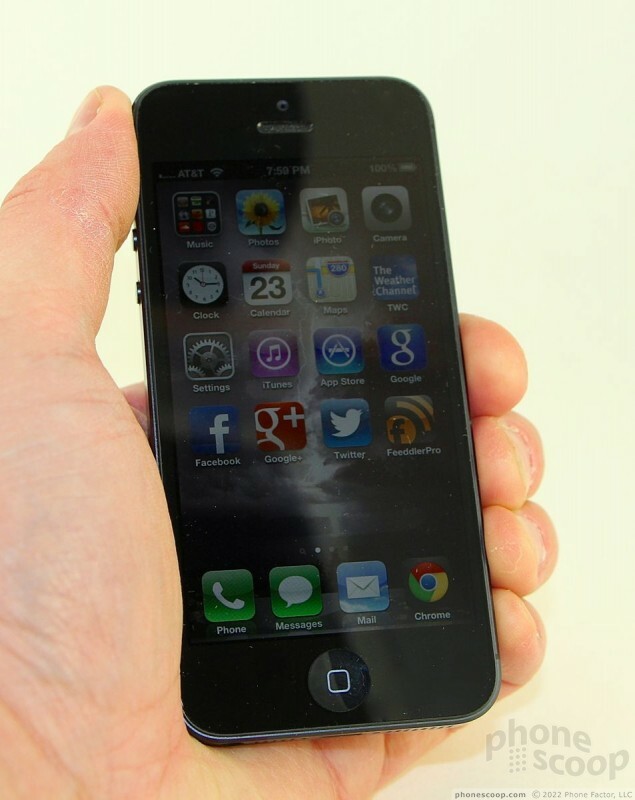 The iPhone 5 still has the single, physical home button below the display. This is the one aspect of the iPhone 5's hardware that feels just a wee bit on the cheap side to me. The travel and feedback of the home button are excellent, but it makes a loud "clack" when pressed that just doesn't sound as good as it should. The volume buttons are on the left edge, exactly where they were on the iPhone 4/4S. The volume buttons are little circles that are separated by about a centimeter. The "up" volume button doubles as a camera shutter button. The travel and feedback of these buttons is perfect, and their shape makes them easy to find without looking. The little flip switch to turn the ringer on and off is there, too, and works perfectly. 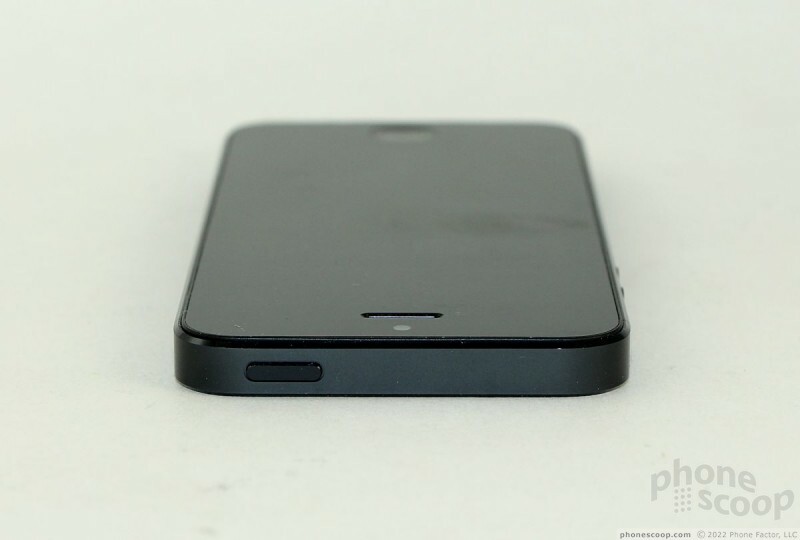 The lock button is all by itself on the top of the iPhone 5. It also has excellent travel and feedback. 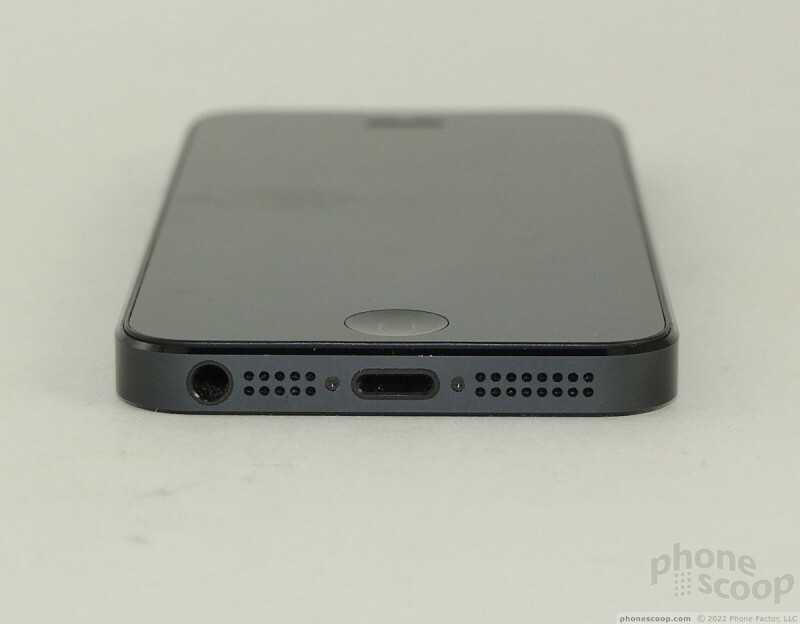 The headphone jack has been moved to the bottom of the iPhone. I have mixed feelings about this choice. 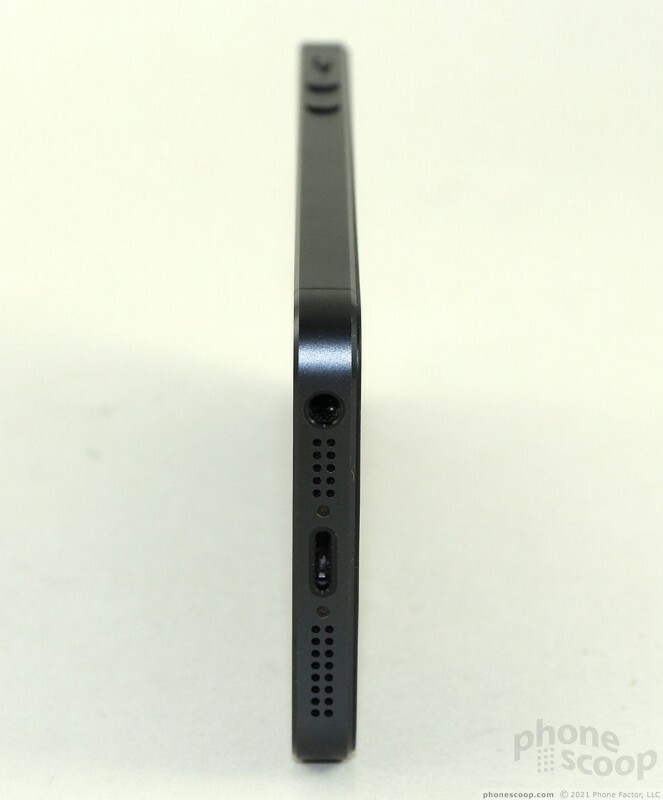 I prefer the headphone jack to be on top, but I can understand the reasons behind the relocation. Apple altered the antenna design, and needed the space at the top of the phone for certain components. Apple also decided that putting the port on the bottom makes more sense for people who like to stick their phone in their pocket with the top pointed down. Of course, one of the biggest changes on the iPhone 5 is that Apple has done away with the decade-old 30-pin connector in favor of the new Lightning connector. Apple has once again ignored industry standards and chosen its own design over that used by the rest of the wireless industry. Simply put, it's annoying. There's no good reason for Apple to choose this new proprietary port over micro-USB other than to rake in more money. All that griping aside, the Lightning connector is much easier to use than the 30-pin connector was. The 30-pin had to be inserted a particular way, but the Lightning connector is reversible; you can stick the plug in any way you want and it won't hurt the iPhone. The cable itself has a slightly smaller profile, and is easier to wrap up and store because there's no longer a big, bulbous 30-pin connector at the end. As with all iPhones, the iPhone 5's battery is inaccessible. You can't swap it out or pull it. Last, the iPhone 5 uses a new nano SIM card. It's a brand new design, smaller even than the micro SIM card used in the iPhone 4/4S. You can not switch the nano SIM into another phone without the use of a third-party adapter (sold separately). Obviously, Apple doesn't expect that many iPhone users will ever pull their SIM card out. In order to eject the SIM card you need to use a small paperclip or similar tool. 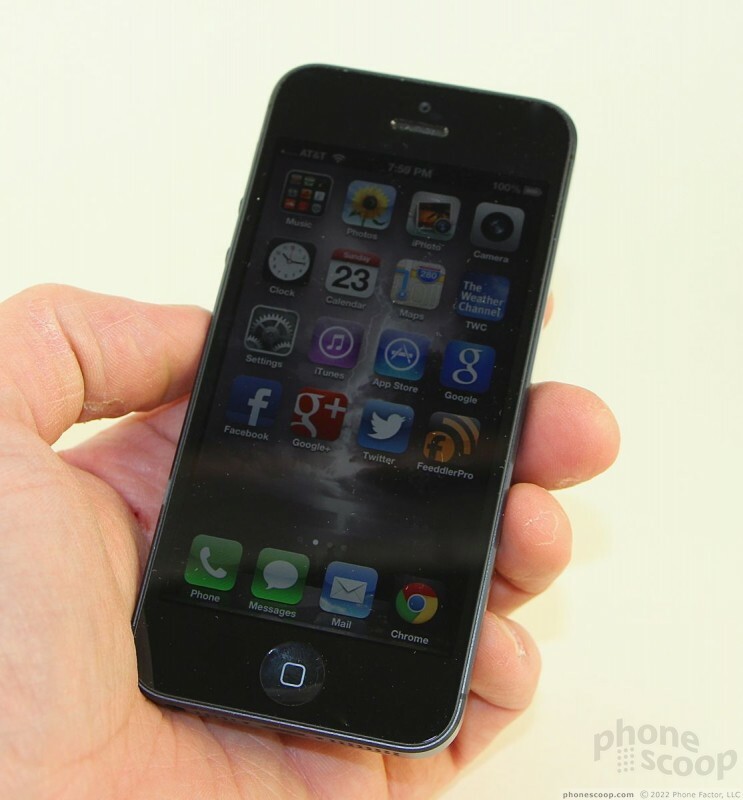 There's no denying that the iPhone 5 is an outstanding piece of hardware. I haven't reviewed a single phone this year that comes even close in terms of quality and craftsmanship. 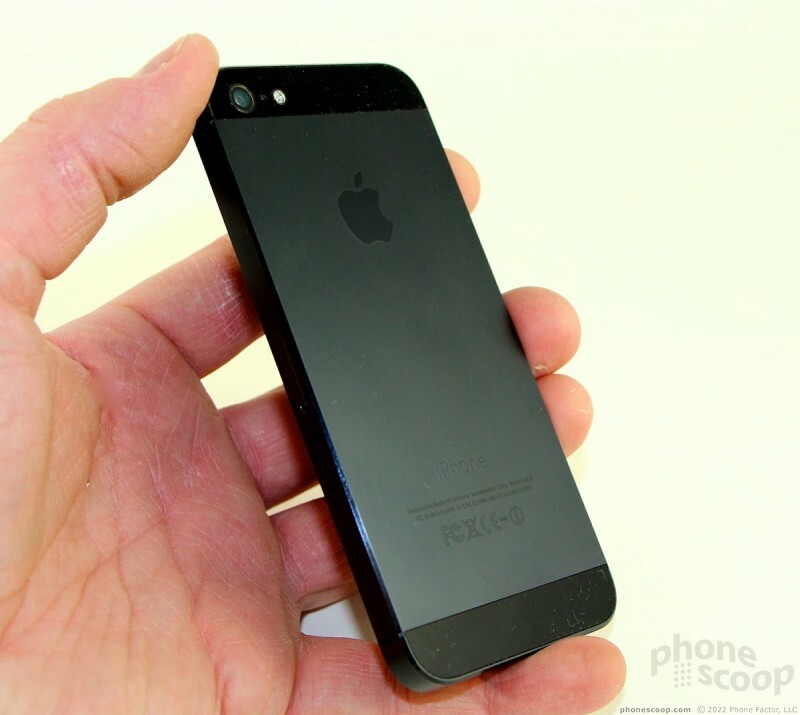 "Everything about the iPhone 5 is leagues ahead of the competition"
It is. The truth hurts. This is about the PHYSICAL phone. Not about iOS6, which is a different beast. Apple has been making great hardware since... forever. They have teamed it with great aesthetics for a long time. The OS itself has a completely different review. Why compare Apple to Apples? Why not Apples to Galaxy S 3s? 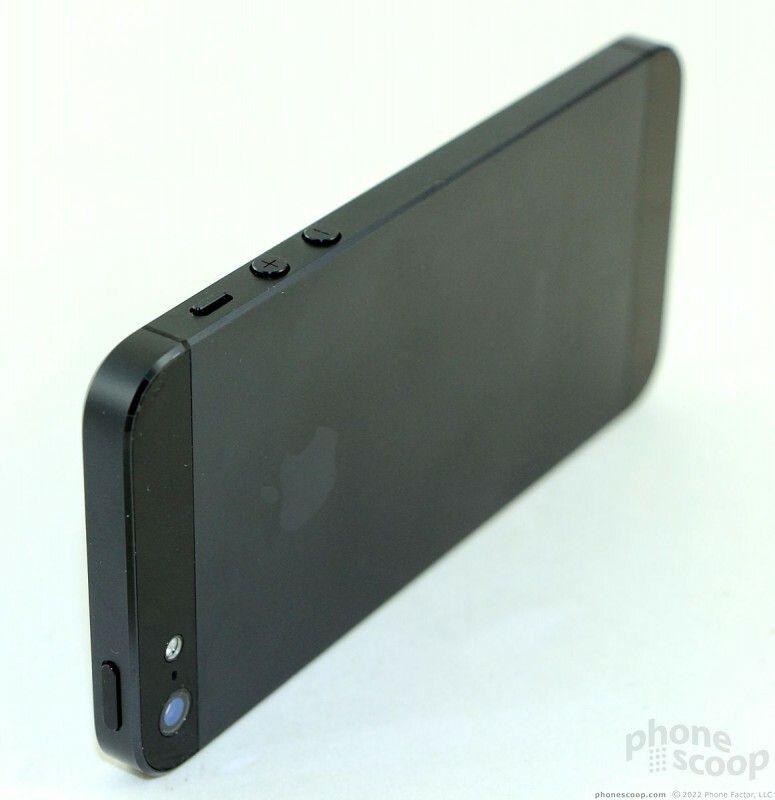 This review makes no sense to me.Oh its leaps and bounds better then the Iphone 4s! Wow man I'm impressed! I'm a huge techo buff.If it's the latest electronic gadget I have to have it.Anyone in the know gets it of course it's better then what it's replacing.It's not like it was when they replaced the hose and buggy with the automobile.Of couse they could say wow man this car thing sure put that ole horse and buggy to shame.They didn't have anything else to compare it too.Apple is the only tecno company to use these tactics.The 4s was the most impressive phone on the planet untill a couple months ago.When they decided to announce the iphone 5s launch date.Now it's a slow piece of crap. wow how much did apple pay you? for this obviously biased review. The Gs3 has all of this and then some. The note 2 will surpass it as well.. Hell the htc x one does to. Obvious biased review take it down and get someone who uses a blackberry to review it. Did you read our Galaxy S III review? America the land of your choice. Rather you want a small screen or big screen there is a phone to choose from. The great thing that know one one mentions is that no one is being forced to buy any type of phone. If the phone does what you want it to do when you want it to do it, then that is the best phone for you. The next person that complains about the phone I choose can pay my bill and buy the phone they want me to use. Enjoy your choice and allow me an others to enjoy ours. The best phone is the one that you currently own or choose to purchase!! but the reviews have been consistently very positive. From what I gather the feature list seems modest at first, but even just bringing it up to date with the flagship android lineup is enough to make it a strong recommendation again? The response to iOS 6 was lukewarm, and the response to the physical phone was positive. The features of iOS 6 seem lackluster, especially for the casual user who just wants their phone to easily do things like go to YouTube. I thought this was a good review, but good gawd the praising of the exterior got old. Come on, the phone is a black rectangular touchscreen slab just like its predecessors, the endless Galaxy phones, the Nokia Lumina, the HTCs, and every other me-too smartphone out there. I don't mean to knock that clearly functional design, but going overboard with praise about a phone that basically looks like every other smartphone manufactured since the dawn of the iPhone era is downright silly. It's like praising the Chevy Impala for its aesthetic superiority over a Honda Civic: the details are so small and irrelevant that only fanboys would really appreciate it. Problem there is that there really isn't much to praise in any of those categories either. There are two sides to every discussion. There will be those hate the Iphone and those who love it. Who is right? Who is wrong? In the end it comes down to personal choice and one question. You're the one who will use it so focus on what you think is best for you. Sure, ask around, get opinions, read reports, do your research, but take it all with a grain of salt. Most of the information you will discover is based off opinions. So take the time and form your own.